Ever since the UK voted to leave the EU, there has been speculation about the Brexit impact on the city of London. Latest research from Reuters suggests that up to 9,000 jobs may be relocated. Dublin, Frankfurt and Paris are considered to be the most likely destinations. Moving to a new house and/or city can be challenging. However, as most expats will be aware, moving cross-border is even more stressful. For some it will be a case of returning home, for others it will be the challenge of moving to a brand-new country. It is never easy to uproot yourself and your family. Finding a place to live, new schools for the kids, new friends and clubs are among the many important tasks to be addressed. Such issues are of primary concern; but what about relocating pensions? A recent survey found that circa 100,000 French nationals living in the UK exercised their right to vote in the Presidential elections. Given that London is regarded as the 4th largest French city, despite being outside of France, it is safe to assume that a large number are involved in the financial services industry. Many left France due to excessive taxation by previous administrations. They may now believe that a return home could be a good option bearing in mind Macron’s promise to make radical changes to government. This would inevitably involve changing to a more market-led economy with lower taxation. 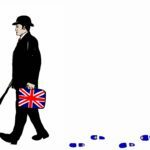 One would assume that foreign nationals who leave the UK are unlikely to return if circumstances stay as they are now. It makes perfect sense therefore for them to review the existing UK pension arrangements that they have. The Brexit negotiations are scheduled to last 2 years; such a target may well prove to be a bit optimistic. During this period the UK will remain members of the European Economic Area (EEA). Post-negotiations the situation could still be the same. However, any change in the status of the UK, along with the inevitable currency uncertainty, would make a compelling case for considering the transfer of a UK pension to an EU Euro-based scheme. The UK being in the EEA is an important factor, in that any transfer of a pension to another EEA country escapes the recently introduced Overseas Transfer Charge of 25% of the pension pot. Given the current situation, those planning to relocate would be wise to speak to a pension specialist about the options available. Solutions may include transferring to either a QROPS or an International SIPP. As well as currency advantage, individuals would have the choice of greater investment flexibility and the availability of a wide selection of discretionary managed funds where day-to-day investment decisions are left to a professional fund manager. In summary, if you are about to leave the UK or may do in the near future, now is a good time to review and consider restructuring your pension arrangements.